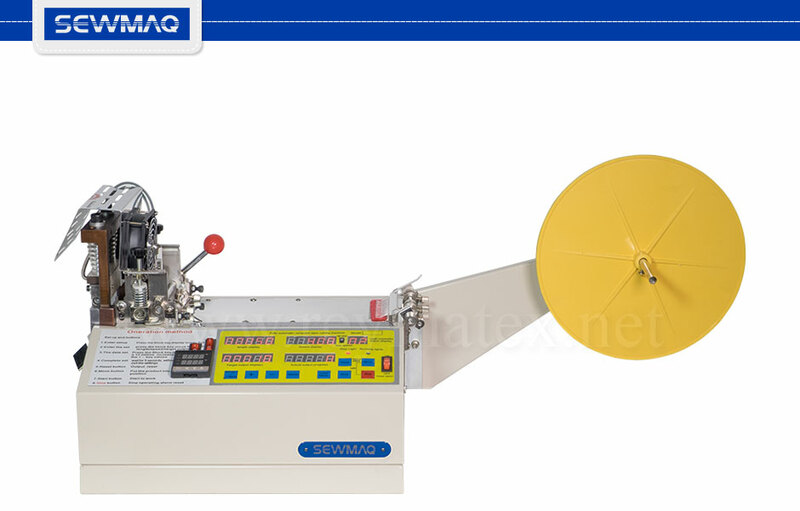 Continuous cutting machine for zippers, tape, etc. The cutting length can be programmed from 0 to 9.999 mm. Maximum tape width: 90 mm. Cutting in cold or heated knife (0ºC to 200ºC).